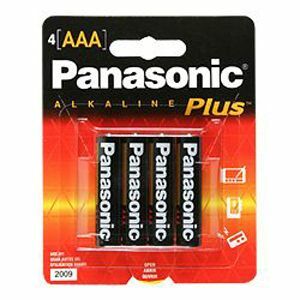 Provide long-lasting performance in everyday devices with the help of Panasonic AAA-Size General Purpose Battery. Your everyday devices such as portable CD players, shavers, radios, smoke alarms and many more devices require AAA size battery to work perfectly. Therefore for a long-lasting power source prefer Panasonic AAA-Size General Purpose Battery. Get the Panasonic AAA-Size General Purpose Battery Pack today.